Artists and activists came together in Poison + Antidote, an eight-hour session on Saturday at the Whitechapel Gallery in east London, that ranged from the calculated politics of Westminster to the job opportunities that climate change presents. The spur to this discussion had been Cornelia Parker's Chomskian Abstract, a 42-minute filmed conversation with Noam Chomsky (left). Friends of the Earth joined with Whitechapel for the exhibition to get visitors to leave their own questions on postcards. The logic seemed to go: artists ask questions, activists ask questions, let's do this together. The FOE's parliamentary campaigner Martyn Williams said the Climate Bill has to set specific targets for each goverment within its own term of office to avoid NIMTO or Not In My Term of Office. The choreographer Siobhan Davies highlighted the importance of wit in art (using Alex Hartley as an example).1 The artist Heather Ackroyd introduced the idea of 'slow art' with a photo - one of a series - of the growth of two acorns. Dilys Williams, director of sustainable fashion at the London College of Fashion and architect Sarah Wigglesworth both stressed the opportunities that are emerging for young artists, designers and architects who embrace sustainable issues. 1Lisa Roberts quotes P+A talks by Siobhan Davies and Natural History Museum curator Bergit Arends here. Columnist John Derbyshire has reviewed American Earth: Environmental Writing Since Thoreau for the conservative journal New Criterion. A 'prickly libertarian', Derbyshire also feels that nature-writing has largely been taken over by 'leftist scolds', 'doomsters', 'anti-natalists' and 'noble-savagism'. Top marks go to Barry Lopez on the stranding of a pod of sperm whales, Annie Dillard on evolution and E.O. Wilson on the social insects of Surinam. There are special commendations for Edward Abbey on the Park Ranger's life, John Burroughs on seeing things, Caroline Henderson on the Oklahoma dustbowl and William Cronon on the New England ecosystem. Bottom marks, however, go to some big names: Gary Snyder ('poseur') , Teddy Roosevelt ('bumptious') and Thoreau ('unreadable'). The telephone was used for one-to-one communication. The TV used content generated by a small group and broadcast it to a very large group (sort of, one-to-many). These two now overlap. The one-to-one content of the telephone can easily turn into the many-to-many content of emails, blogs, MySpace and Facebook. Cassandra's gift for prophecy makes her one of a handful of 'climate-change characters' we listed here. Others include Marlowe's Faust living 'in all voluptuousness' and Sally Bowles in Cabaret, not having a clue what's going on. See also Creon in Antigone here, King Lear here, Galileo here, Astrov in Uncle Vanya here and Dr Stockmann in Enemy of the People here. PAT. The Transition Movement says we’ve got to do something about climate change, and we’ve got to reduce our dependence on oil. KATHY. Everyone’s been saying that for ages. PAT. Yes, but Transition communities are actually doing it. 1. Chico Mendes was murdered 20 years ago. Our online journal records the Young Vic's efforts to prepare an Amazonian show. 2. 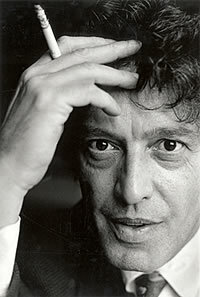 Tom Stoppard on 1968, Herzen and liberty, and what we squandered long before 9/11. 3. Professor David King calls for 'people of integrity' within government to give scientific advice regardless of political pressure. 'Fall canceled after 3 billion seasons. A beloved classic comes to an end'. A new contender for best parody would be the Daily Mash interview with the planet. This is the first Sunday after the full moon after the equinox. Well, that's the quick definition. Longer definition here. No-one alive today will ever have Easter this early again. The next time it falls on 23rd March will be in 2160. This year's vernal equinox, officially the first day of spring, made the front page of the Independent. Philip Pullman's new book, Once Upon A Time In The North, is about oil. In Break Through, their critique of environmentalism, Ted Nordhaus and Michael Shellenberger remark that many people who say they are concerned about the environment give less than $100 a year to environmental groups; in contrast, many evangelicals give 10% of their income to their church. In his piece on Obama, the travel writer Jonathan Raban says this line has its provenance in a speech by the First Murderer in Richard 111. Richard tells the First Murderer 'to be sudden in the execution' of his brother Clarence. He wants to ensure that no 'well-spoken' words from Clarence move the two murderers' hearts to pity. Too many theatre companies behave like Blanche DuBois, says Scott Walters, and rely on the kindness of strangers. Walters is right: economy in art doesn't mean that it has to be done on the cheap. Stuff doesn't always have to be there. The greenest option may be the most stunning. There's a moment with no carbon footprint. Change that last word from 'religion' to 'Gaia' and Sophocles sounds very up-to-the-minute. This is one reason why climate-change campaigners may not be overjoyed at the trumpeted arrival of Blair on the scene. 1 In 2005, hubris was voted 'word of the year' by SFGate readers, beating 'levee', 'mash-up', 'disaster' and 'jump the couch'. 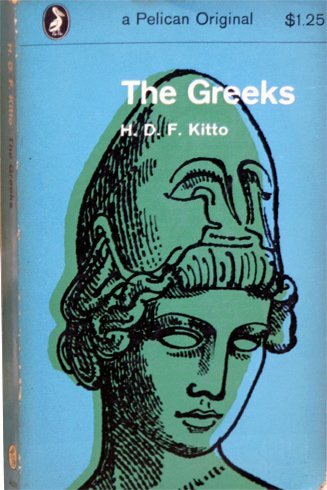 - in Sophocles' Antigone, the king, Creon, refuses to allow Antigone to bury the body of her brother Polyneices because he was a traitor. Antigone tells Creon that this would be going against the will of the gods. Creon refuses to listen. Creon's son, Haemon, who is engaged to Antigone, tells his father that the whole city believes Antigone is right, but still, Antigone is banished to a cave. Then the blind prophet Tiresias tells Creon that his actions will cause miasma (pollution) and more deaths. Eventually Creon sees the truth, but it's too late. Antigone has killed herself, Haemon discovers her body and kills himself, and Haemon's mother (Creon's wife) kills herself. Monday: Queen calls for the world to save the environment. An interview with Tom Stoppard in today's Independent claims he rarely gives interviews. Hard to think of a playwright who's given more. (A quick google offers examples here, here, here, here, here, here and here). The idea that it's in a politician's own self-interest to deal with larger and larger collections of people received another boost today. Five years into the disastrous Iraq war, and Tony Blair sets himself a new world challenge. 'we in the United States get from day to day under rather wonderful and privileged circumstances'. He seems incurious to discover (unlike New York playwright Wallace Shawn2) if anyone elsewhere might be picking up the tab for these rather wonderful privileged circumstances. A new study on engadget shows that 68% of Americans worry when they are not connected to their laptops, BlackBerrys, etc. They feel 'dazed', 'disorientated', 'tense' and 'inadequate'. where are the green jokes? This weekend's Observer lists the world's 50 most powerful blogs. Only two of them - Treehugger and Bean sprouts - are green. The Democrat primaries are becoming as mannered as a Victorian comedy. Hillary Clinton and Barack Obama maintain an atmosphere of studied politeness. But beneath the surface, hostilities rage between the two sides (glimpsed in Samantha Power's unguarded 'monster' remark). It's a little like Oscar Wilde's The Importance of Being Earnest, when Gwendolen and Cecily decorously put the knife into each other over the cucumber sandwiches. Playwright Christopher Shinn gets asked why so many young playwrights write plays that are apolitical. His answer begins: 'Nonprofit theaters rely on funding from corporations and wealthy individuals.' More. Last December the New Statesman carried an article asking: 'Has Global Warming Stopped?' So far 1214 people have posted contributions to the online discussion that's followed. That compares with 25 posts on Blair's deceptions over Iraq and 11 posts on animal rights. how cynical can you get? This 'puckish' spirit influenced the Epicureans, Romantics, Beat Generation and Hippies. Little by little. And quite often in London. Last year, when I interviewed Philip Pullman about The Golden Compass and Chris Rapley about the Science Museum, they both had copies of the same book on their desks: James Martin's The Meaning of The 21st Century.